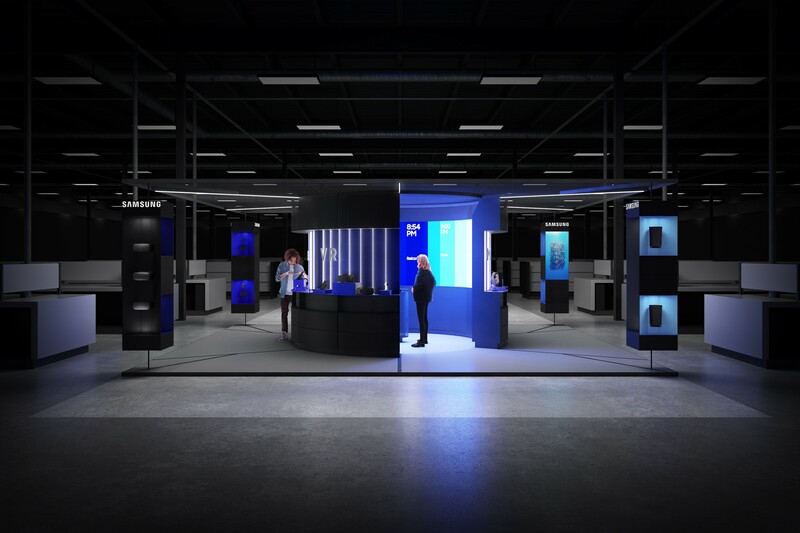 Samsung asked WSDIA and fellow Brooklyn-based design studio HUSH, to collaborate in rethinking an immersive retail environment within five key BestBuy 'Innovation Doors' across the nation. 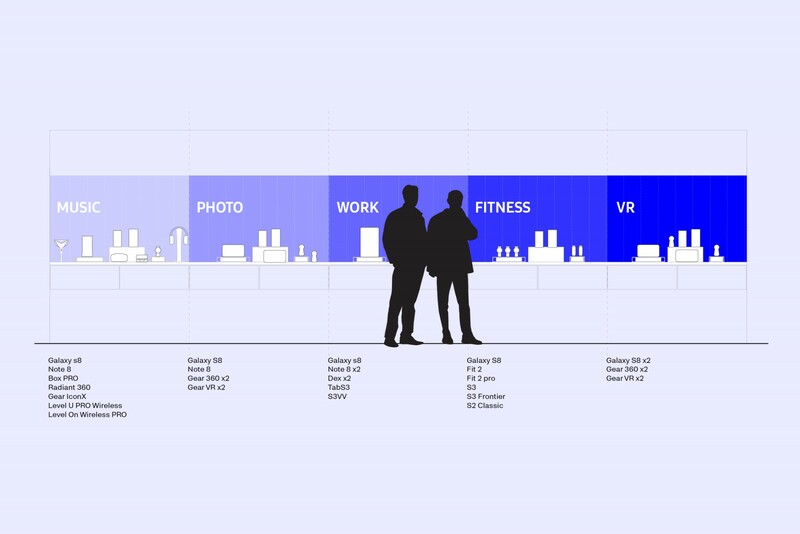 Framing Samsung's product usage in 'A Day in the Life' setting, wraps a morning to night timeline organizational structure, which forms the central focal point. 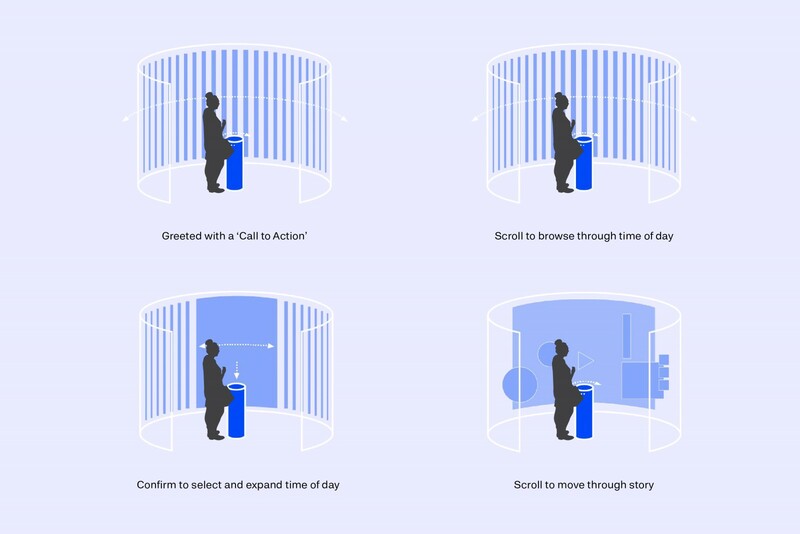 On a 20' x 23' footprint, the interior of the cylindrical form becomes an interactive experience, with each product zone story taking over the entire interior of the space. 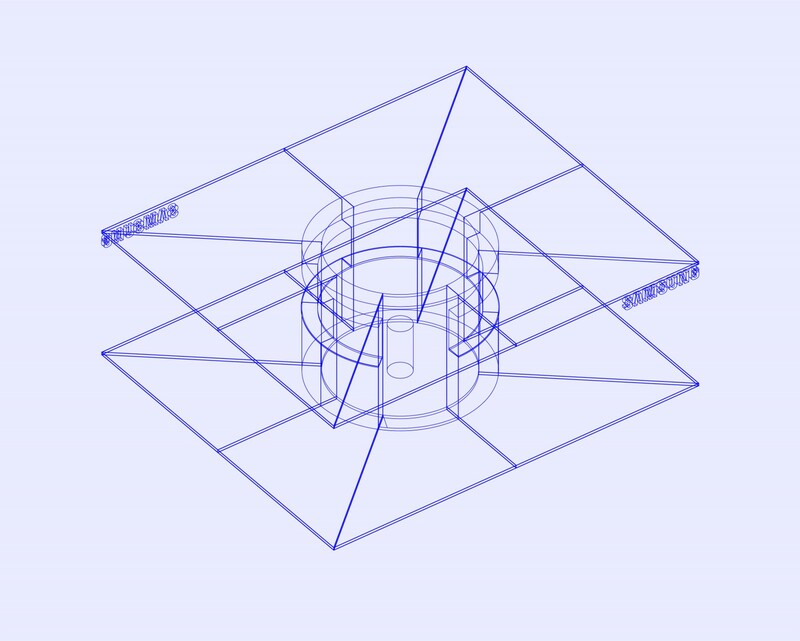 The exterior of the cylindrical form is divided equally into the five zones. 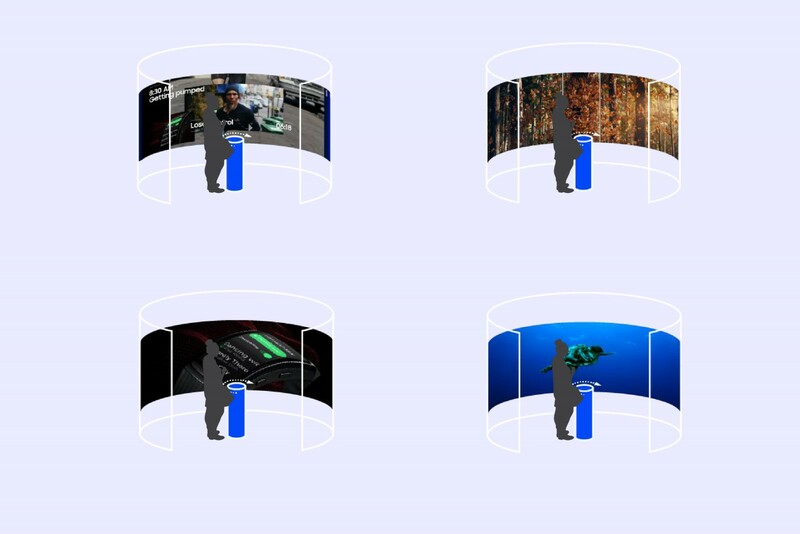 Each corner of the footprint has a pillar that combines products, a digital surface, and static signage to tell stories of how products work together, within the Samsung ecosystem. 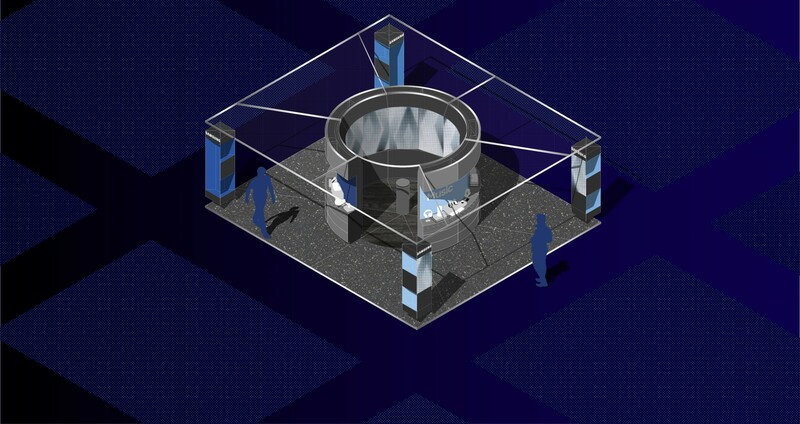 Everything is housed beneath a canopy to create a sense of place. 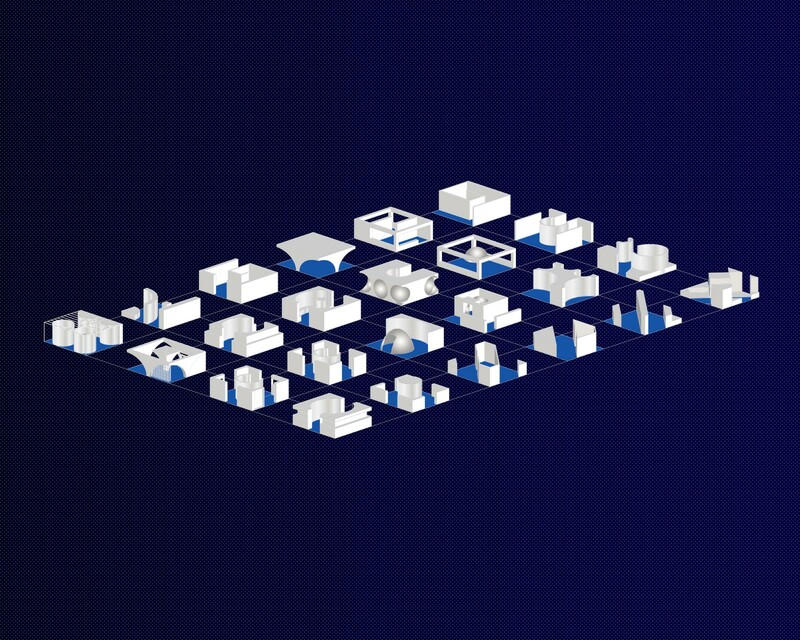 The canopy acts as a brand beacon, within BestBuy's sea of competitor brands.